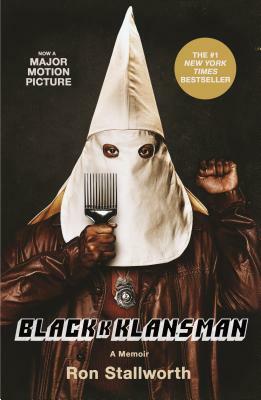 The extraordinary true story and basis for the Academy Award winning film BlacKkKlansman, written and directed by Spike Lee, produced by Jordan Peele, and starring John David Washington and Adam Driver. Ron Stallworth is a thirty-two-year, highly decorated, law enforcement veteran, who worked undercover narcotics, vice, criminal intelligence and organized crime beats in four states. As the first black detective in the history of the Colorado Springs Police Department, Ron overcame fierce racial hostility to achieve a long and distinguished career in law enforcement. Ron is the author of Black Klansman: A Memoir.
" A fascinating memoir of an extraordinary inquiry into a recrudescent Knights of the Ku Klux Klan." "A searing look at hate groups from the inside out, as well as a captivating true story that you'll never forget."